Black Rhino, Leopard, Hyena and Jackal! What a Thanda morning! After spotting a Black Rhino on the savanna we watched two Leopards feeding on an Impala kill, which was high up in a tree. And we saw a Hyena ‘stealing’ some of the meat which had dropped from the tree onto the ground below. A small Black-backed Jackal waited for his turn to get a few left-overs from the kill. A great sighting! 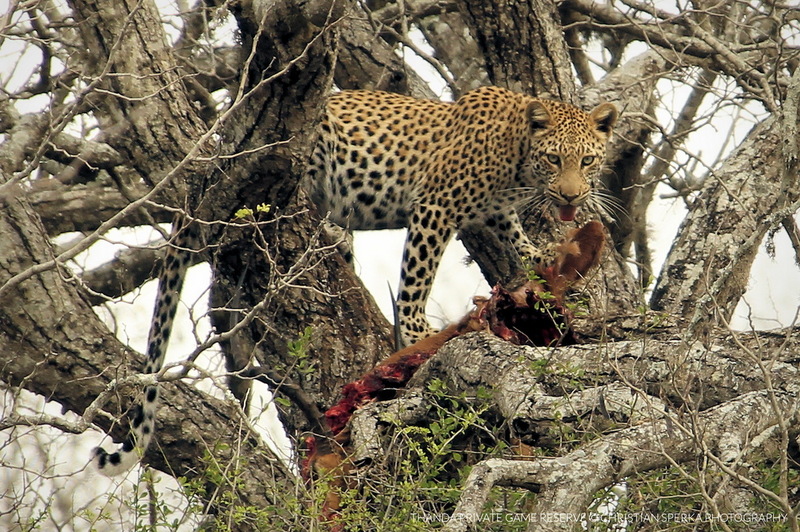 The picture shows one of the Leopards on the kill.